My Paper Trove: Paper Sweeties 3rd Birthday Celebration! 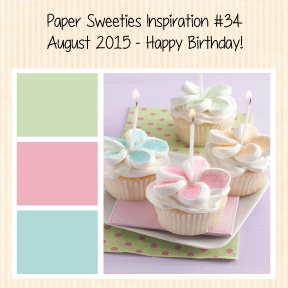 Paper Sweeties 3rd Birthday Celebration! Guess what? Paper Sweeties is turning 3!!! I was thrilled to be asked to be a part of this super sweet celebration too! Congrats to Debbie and her Paper Sweeties! I used the August challenge inspiration board for my color inspiration here (it's just below if you want to take a peek) and inked up some of my favorite stamps from when I was on the DT. This flower is part of the Paper Sweeties Stand Add-on:Fall Harvest set. I love that this flower can be used for so many occasions! 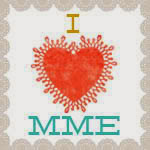 My sentiment is from the You're Invited set! 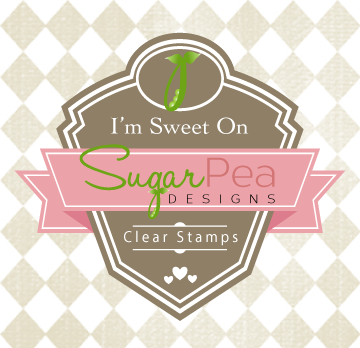 Stop on by the Paper Sweeties blog to see the wonderful list of designers joining in the 3rd Birthday Celebration! Thanks for stopping by and have a great day! Wow! This is stunning! LOVE that plaid paper, and your coloring on those flowers is beautiful. So glad you joined us for Paper Sweeties' 3rd birthday celebration! Beautiful card Pattie!!! Love the plaid paper and sweet flowers! Oh, love those pretty sweet flowers, Pattie! Wonderful plaid paper and great use of the twine, too! So happy to see you join us with the Paper Sweetie's third birthday celebration! Lovely trio of blooms, Patti! Sweet card. What a pretty card! Love the flowers! What a sweet flower trio -- very, very pretty!! SUCH A VERY PRETTY CARD - so full of yummy details and beautiful color that just make it sing!! You have done a Blooming good job on this amazing card!! Like the floral creation. Like the embellishing & twine.